As an eBay Motors Preferred Service Provider, Auction123 has been offering dealerships the best eBay Motors listing tools available since 2001. From generating your listings to managing your leads, our eBay Motors platform was designed with one thing in mind, to help you sell more vehicles. Our easy-to-use system takes the guesswork out of listing on eBay’s National platform. 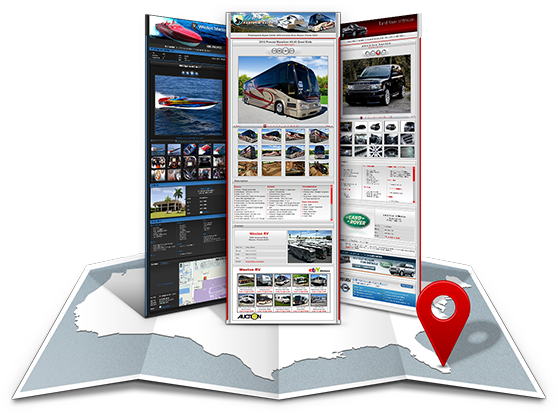 Auction123’s eBay templates are 100% customizable, ensuring your dealership stands out from your competition. Schedule your listings, create default eBay descriptions and terms, update your reserve, add a Buy It Now; our solutions make it easier to list and manage your ads on eBay. Our eBay management console provides the accessibility to monitor all eBay activities and leads in one location, eliminating the need to log into your eBay account! With every bid or Best Offer your listings receive, we will provide you with the bidder’s complete contact information including name, telephone number, email address, and location. 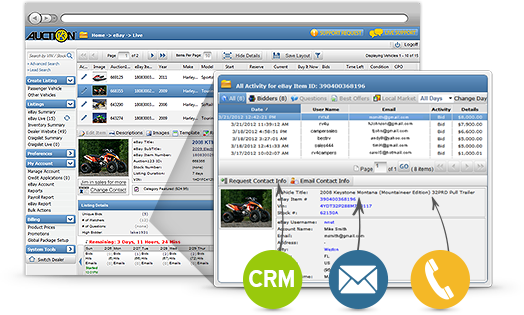 This information can be sent to multiple email addresses or can be delivered to your CRM system in ADF format. Obtaining the bidder contact information turns eBay into an explosive lead generating tool for your dealership. 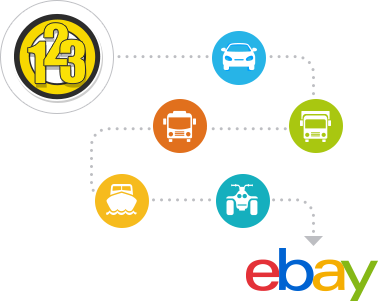 Auction123 offers the only fully automated eBay listing tool available! Whether you are listing in the Auction style, Fixed Price, National Classified or Local Market format, the Auction123 system offers a hands-free approach to seamlessly publishing your inventory on eBay. Through a series of filters, you determine which inventory should be eligible for eBay. Then, tell us the days and times you want us to list on your behalf, and your listings will go live without any manual intervention. As your inventory data changes, the Auction123 system can revise your listings or end the live ads for your sold units automatically. 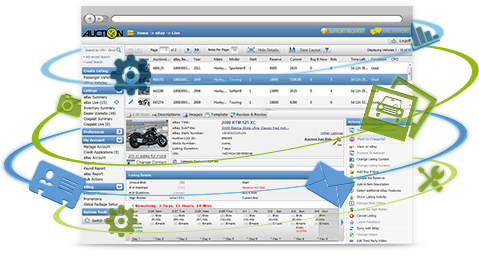 Using the Auction123 system for managing your eBay activities will provide your dealership with a competitive edge. Every aspect of our eBay solution from our template designer to the listing management console was developed to help you create the most effective and eye-catching eBay listings. When questions arise, the Auction123 Sales and Support teams are always on hand to provide you with eBay best practices including tips and strategies that will help you succeed.